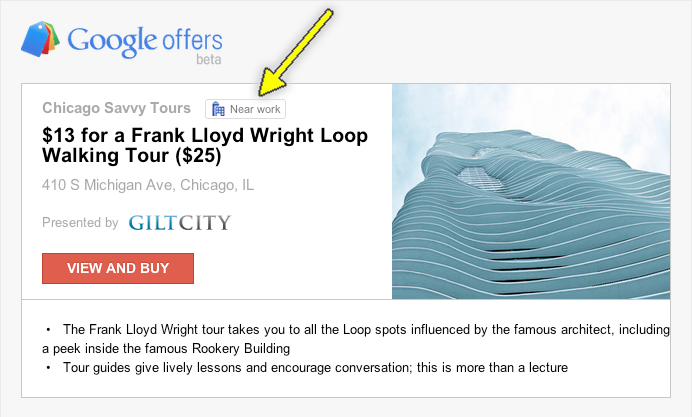 Today's email from Google Offers includes a "Near work" link. I cannot recall entering addresses into Google Offers; I assume it pulled my data from Google Latitude. Yay! I really enjoy and appreciate when Google products play nicely with each other.